Everyone loves a hand written note and we take it one step further in our house with hand written cushions! 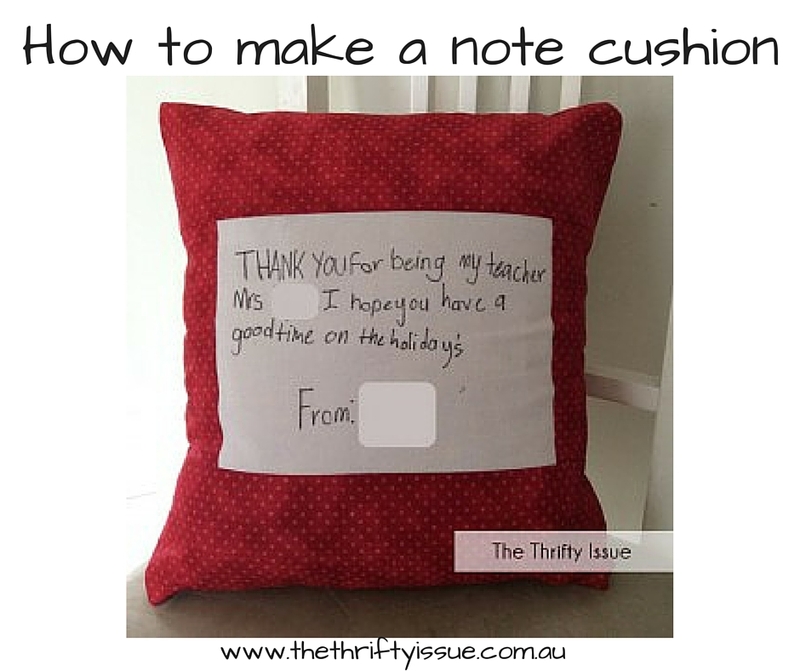 You can add a personal note and make the cushion match the recipient. 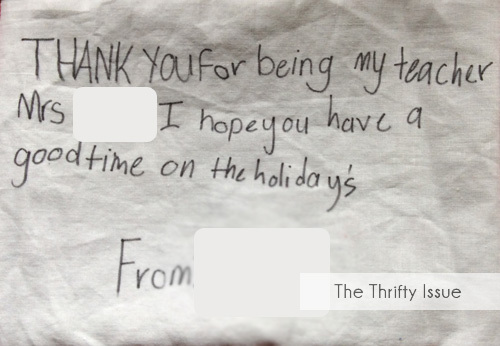 These ones I get my kids to write on for their teachers at the end of the year, its a useful present that has been greatly received every time we have given one. One of my sons preschool teachers keeps it in her class and each year someone asks about the cushion and she remembers fondly my son. She even showed me the cushion not too long ago and its holding up well. 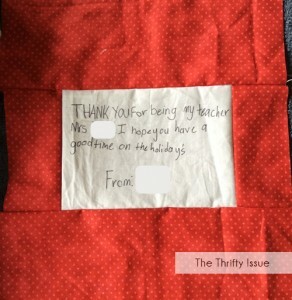 You could give them to grandparents with love notes, as get will gifts or school friends. Really its endless who they could be for and what you can put on them. I make these in a size 14 but you can adjust the size to suit your needs. Assemble the front panel into a square and then add your backing pieces and lining. Finish the cover like the tutorial explains and be prepared to hand over one amazing gift! 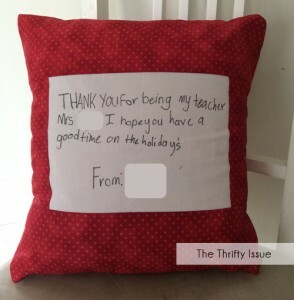 What gifts do you give teachers or grandparents?